I adore The Iron Druid Chronicles and fell more in love with the world when I got the audio books. Luke Daniels is my favorite narrator. He makes the story and characters come to life. Each voice is unique, spot on and feels real. So the magic is part the writing and part the reading. This had to be mentioned because I'm not sure how to proceed with this novel. I've listened to it for a few hours - several hours of commute time - but I'm so disappointed with the female narrator and the brunt of the novel thus far has been in her voice. Her tone is mostly flat. I could live with this but she also doesn always enunciate chunks of dialogue or narrative well and there are many parts I'm missing because I can't rewind while driving. To top it off, she has very little range in terms of creating different characters. Combine these three flaws and the book has so far been a bit boring, drawn out by the monotone voice and hard to understand on many levels with some of the story being lost to slurring of words and other parts to not knowing who is talking because we have basically two characters - 1. Female voice and 2. Gruff old maybe male or maybe female voice. Since I am about 15% of the way in and I'm this unenthusiastic with what I feel are legitimate concerns I have put this no episode on pause. I'm not sure how to proceed and I'm deeply disappointed. 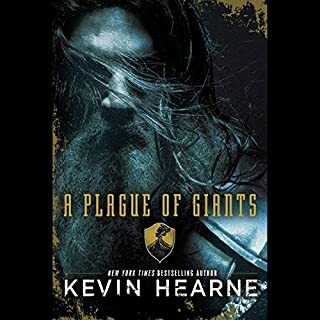 Sorry for the negative review and I hope to only help those who are looking for an experience on par with the other works by Kevin Hearne and Luke Daniels. Also beware of you are hard of hearing, will have ambient noises while listening or get confused when character voices are all the same. If and when I come back to this novel I will update further but the experience so far was so poor that I felt compelled to share it. I am a little sad to say that I don't think this is a series, because I became very fond of the town of Bicho Raro, CO., and its inhabitants. 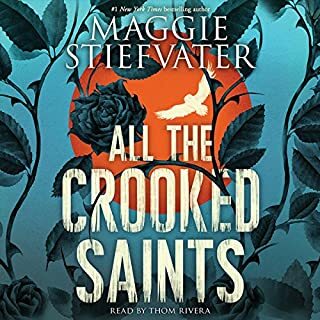 At the start of this Audible, I wasn't sure if I would like the book or the narrator. It started a little slow, and I wasn't sure about the narrator for some reason - probably just the start of the book - but within a couple chapters I was hooked. Both the story, and the reader, really draw you in. You can read the synopsis yourself, and I don't want to give out spoilers, but the story is very character-driven - with quite a few players to keep track of - and also a bit sad. However, keep in mind that it is a &quot;sad&quot; with a whole novel's worth of redemptions and resolutions. By the end you are really rooting for all the characters to solve their mysteries and triumph, in whatever small way possible. The end ties up most loose strings and leaves you satisfied - or at least it satisfied me plenty - all without any sappiness. The narrator? He is awesome. He does every character in a unique and recognizable way. He does an array of amazingly believable accents - male and female alike. He is one-man ensemble cast production. He is probably rivals my all-time favorite narrator: Luke Daniels (Iron Druid Chronicles are ah-mazing!). I will look up his name after this review and see what else he reads - yes, he is that good! So, should you listen to this book? Do you like a slow burn? Do you like deep characters that grow and learn? Do you like magical realism? Do you think you would like a tale of the Colo-Mex town of Bicho Raro, and its very odd inhabitants and &quot;tourists&quot;? Do you like the Raven Boys? If you answer yes to most of these questions then - use your credit or buy this book already! When 15-year-old Clary Fray heads out to the Pandemonium Club in New York City, she hardly expects to witness a murder - much less a murder committed by three teenagers covered with strange tattoos and brandishing bizarre weapons. Then the body disappears into thin air. It's hard to call the police when the murderers are invisible to everyone else and when there is nothing, not even a smear of blood, to show that a boy has died. Or was he a boy? Would you be willing to try another one of Ari Graynor’s performances? I would be willing to listen to another sample on the off chance that Ari's voice was only irritating while she portrayed the character, Clary. This was one of the few audio books where I forgot to check out the sample prior to purchasing. 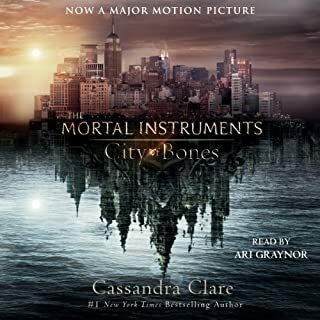 The narrator, Ari, portrayed Clary's voice in a way that was somehow so grating to me--- I couldn't make it more than a few minutes into the story before I stopped the recording. I wish I could say more about the story itself, as it seems to be a popular series that I looked forward to starting, but alas I cannot. I also regret leaving a single star under the "story" rating, but in being forced to leave a rating I could not in good conscience leave falsely high marks for the plot of an audio book I hadn't really heard.